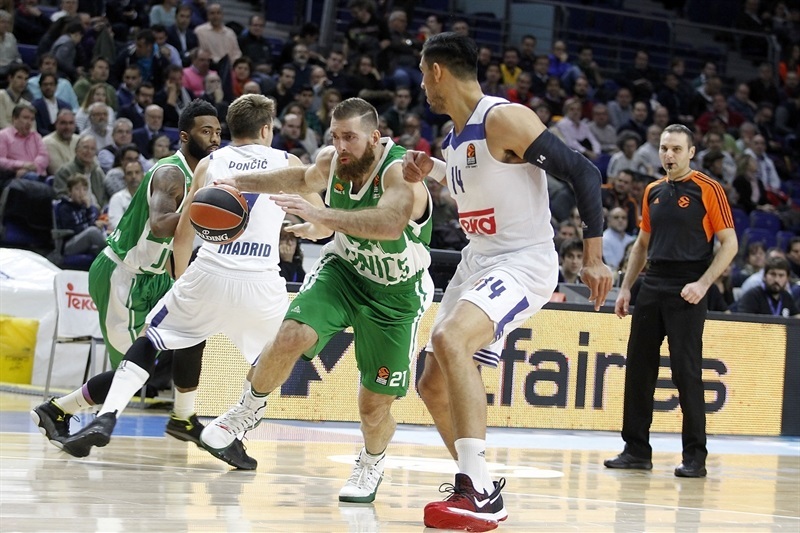 Real Madrid claimed is third consecutive win in the Turkish Airlines EuroLeague by downing Unics Kazan 89-75 in the Spanish capital on Thursday. 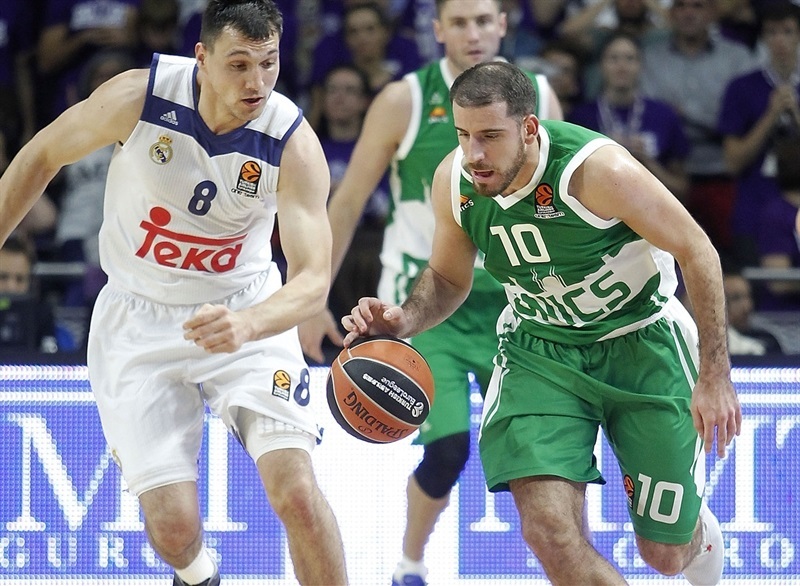 Madrid improved to 7-2 in the standings, while Unics dropped to 2-7. It was a special night for team captain Felipe Reyes, who became just the fifth player to break the 2,500-point barrier in the EuroLeague. Reyes also climbed to fifth place on the all-time scoring list, passing both Mike Batiste (2,496 points) and Dimitris Diamantidis (2,495) during the game. He did it in style, leading the winners with 16 points. 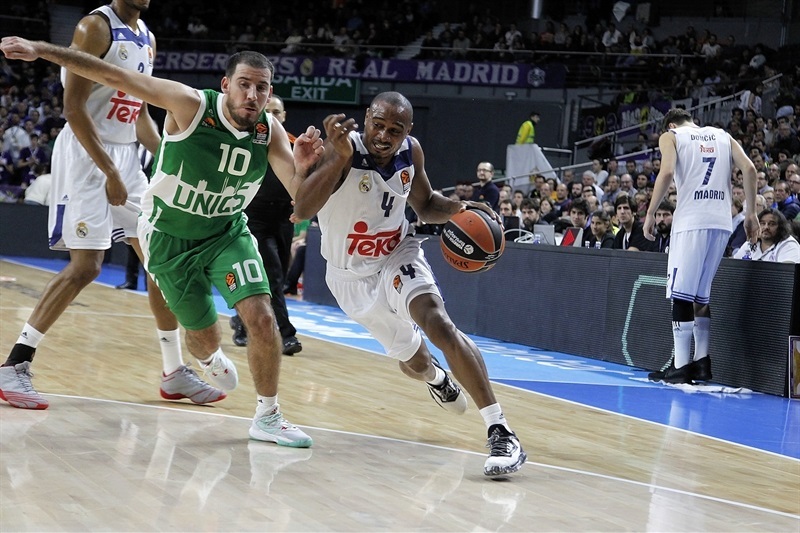 Sergio Llull added 14 and 7 assists, Rudy Fernandez scored 12 points, Jaycee Carroll 11 and Othello Hunter 10 for Madrid. Art Parakhouski led Unics with 19 points. 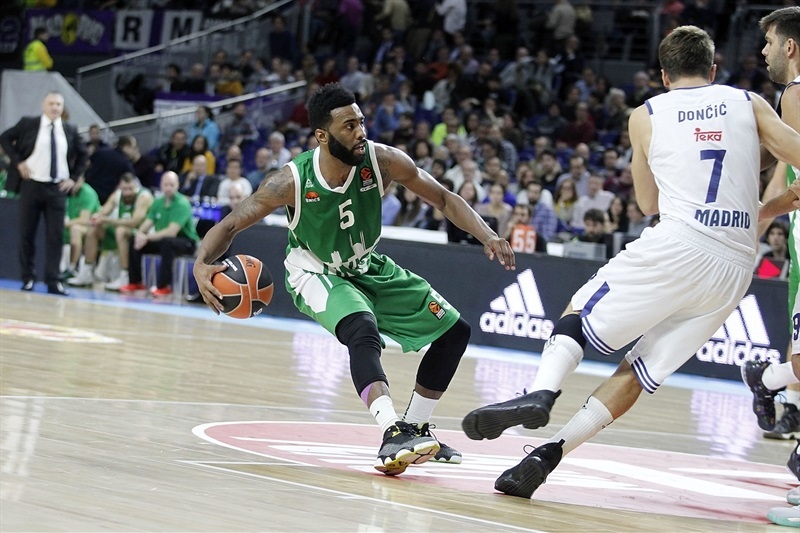 Keith Langford scored 13, Marko Banic 12 and Quino Colom 10 for the guests. 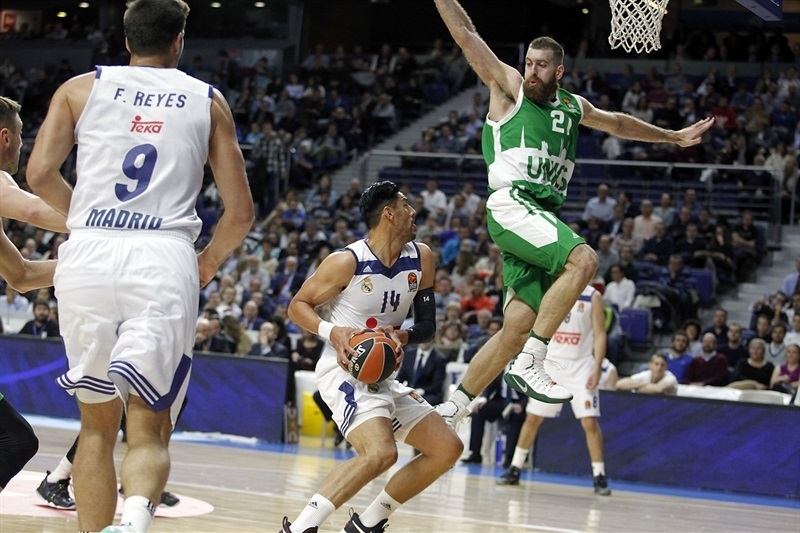 Madrid limited Unics to just 3-of-16 three-point shooting (18.8%) and outrebounded its opponents 36-29. Madrid also took extremely good care of the ball, dishing 24 assists and committing just 7 turnovers; Unics had 11 assists and 9 turnovers. A layup by Kostas Kaimakoglou and a three-point play by Parakhouski gave Unics its first lead, 4-5. Jonas Maciulis stepped up with a corner three-pointer and Gustavo Ayon scored twice in the paint to put Madrid in charge, 13-10. Maciulis kept pacing Madrid with a fast break dunk, a layup and an off-balance basket to boost his team's lead to 23-14. A huge dunk by Anthony Randolph and free throws by Langford fixed the score at 25-17 after 10 minutes. 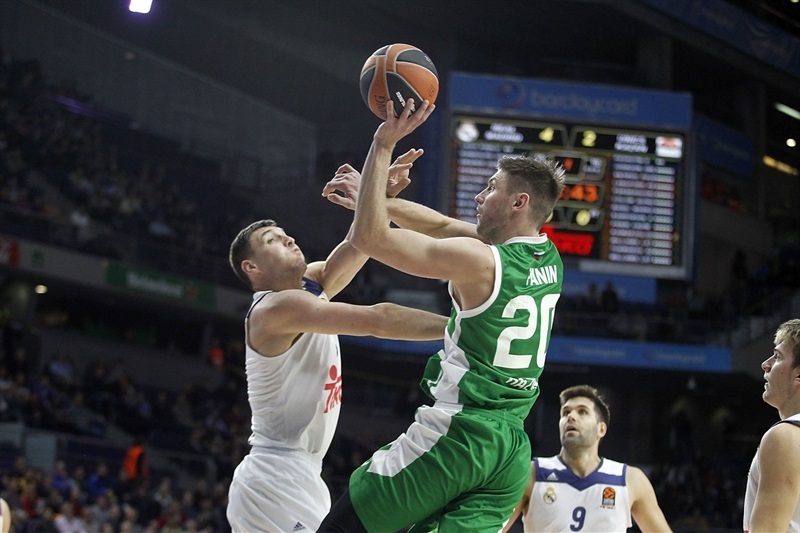 Unics improved its defense while Banic and Parakhouski brought the guests a bit closer, 28-22, early in the second quarter. Hunter took over with an alley-oop layup, which Randolph followed a dunk with a jumper for a 36-27 Madrid lead. 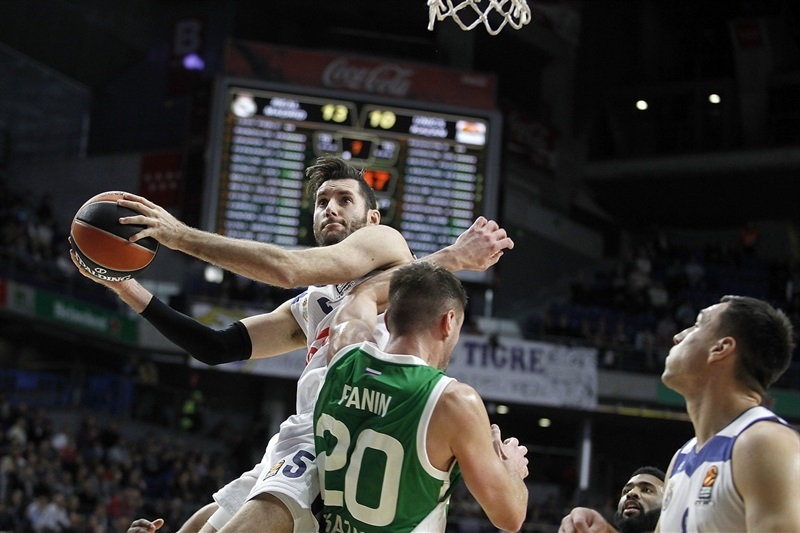 Colom and Banic fueled a 0-6 Unics run, but 4 free throws by Llull kept Madrid in charge, 40-37, at halftime. Parakhouski and Langford stepped up after the break and a layup by Banic saw Unics regain the lead at 42-43. Fernandez and Reyes each struck from downtown and a layup by Hunter put the hosts in charge 52-45. Langford made free throws and Pavel Antipov added a three-pointer to close the gap to 54-50. Hunter followed an alley-oop slam with a put-back layup and a jumper by Carroll gave Madrid a 62-55 margin after 30 minutes. Carroll kept pacing Madrid with back-to-back three-pointers and a layup-plus-foul as he singlehandedly boosted Madrid's lead to 71-59 with seven minutes left. 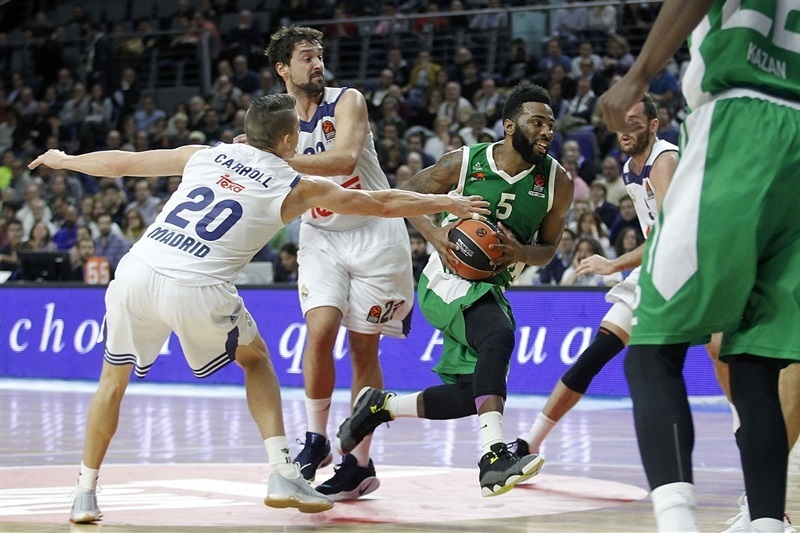 Orlando Johnson and Parakhouski brought Unics a bit closer, 73-66, but Llull and Fernandez each buried one from beyond the arc to seal the outcome at 82-70 with three minutes left.
" I am happy for the victory. In the second half we played solid. We did not play a great game, but we were solid. Defensively we stopped their important players, and offensively we were able to move the ball and hit important shots. Main factor was that we stayed focused during the game. Langford is a player who can always start hitting shots. But we were able to contain him and get good help. Parakhouski hurt us a little bit on rebounds, probably because of the extra help on Langford. But that’s something in basketball you got to understand. You lose on one side when if you try stopping another thing. I think in the second half offensively we played much better." "First of all, congratulation to the guys for this win. I think we had a good approach to the game; we had a good start and at some point, we could have been able to get a bigger lead. They switched their defense in the second quarter, stopping our rhythm. We were not able to move the ball well and that hurt us. We had the feeling we were losing the game rhythm against a team which is strong at that. They have the patience to keep the ball with Langford and Quino [Colom], and they take you to their rhythm if you don't make them work on defense by playing good offense. We fixed that at halftime and were able to move the ball better to find advantages on offense. That allowed us to get a bigger lead and get a win by a big margin and also big in terms of index rating. Unics is a dangerous team, with good one-on-one players. I have been coaching Felipe [Reyes] for six years. First of all, I respect all of my players, but with Felipe, it has been like that since Day One. I believe he is the kind of players who gives his best every time he steps on court. He may play well or not, as everyone else, but you have the feeling he will keep trying all the way and I am happy for the game he had today, which is reflected in his numbers. Some days he doesn't play well, but he always works for the team. He is an example and our lighthouse." "For us it was a tough game. Real Madrid is one of the best teams and in good shape. They just destroyed Barcelona by 40 points. We seriously prepared for this game to control the rhythm of the game. Because Madrid got size, it is full of shooters, and plays up-tempo basketball. They play very nice. But for us to run with Madrid is almost not possible. We played bad defense at the start, but later made adjustments by putting bigger lineup and switching defenses. We slowed them down, and found our offensive rhythm. We did not play beautiful basketball today, but our plan was to play half-court possession basketball. In the fourth quarter we gave up rebounds to Felipe Reyes. Madrid created distance beginning of the fourth quarter, and Carroll and Llull decided the game with their shots. We were good, but not able to stop them. Our team did the best it could right now. We have to improve, but congratulations to Real Madrid." "It was a very tough game, proved by the fact that there were many fouls and free throw attempts. I didn't know about [moving into fifth on the all-time scoring list], just found out right now, but I am happy. I have to keep working to keep reaching milestones in European basketball history. Above all, I am happy because we won a difficult game. I have to give 100%, everything I got, that is what I try to do in every game. Sometimes things go well, others not so well, but you have to give everything. We are in a good moment now. We have to make the most out of it and not relax. We have to carry on working this well, respecting all opponents. 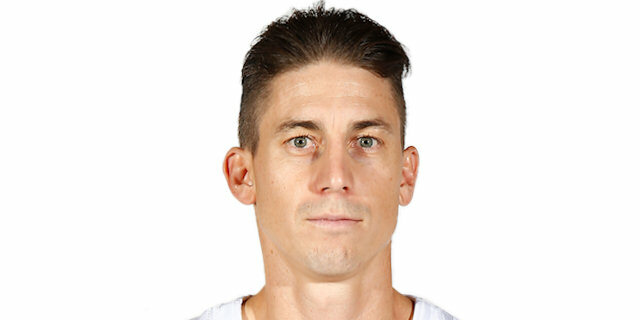 Congratulations to Jaycee Carroll [who tied Louis Bullock as the foreign players with most games at Real Madrid]. Louis was very important for this club for many years and matching his numbers is not easy. I hope he can play many more games for us." "Matching Louis Bullock's numbers [for the most games played at Real Madrid by a foreign player] is a matter of pride. I have been here for many years and got many wins. I will keep fighting to keep helping the team win games, and enjoy it. 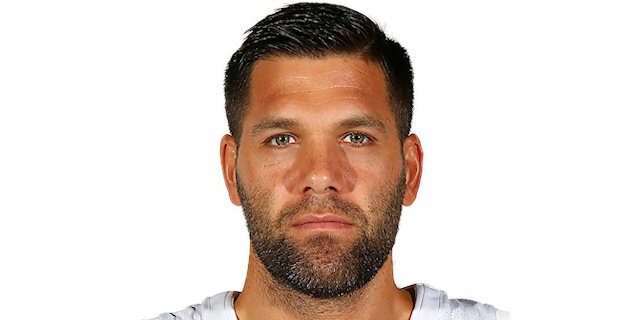 Things were not going well for me in the game and I was a bit frustrated and in the fourth quarter, I had some space to shoot and hit some of them to help the team. Above all, I have to go in and hit some shots, this is why I am here, and have to do things right on defense. I have to give my best on defense and do positive things while I am on the court. We are in a good moment, improving little by little. We have to keep working this way, it is a long season and we have to make the most of every game."